All set for tomorrow’s big update. 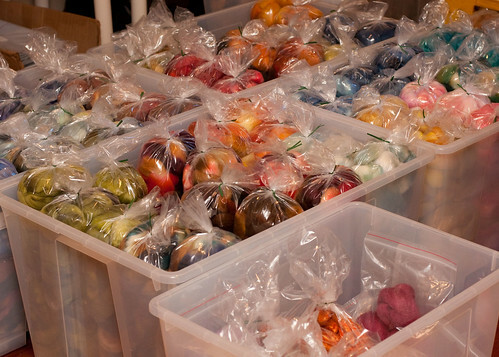 As always, everything sold by SCF is pre-dyed, packaged and ready to ship. 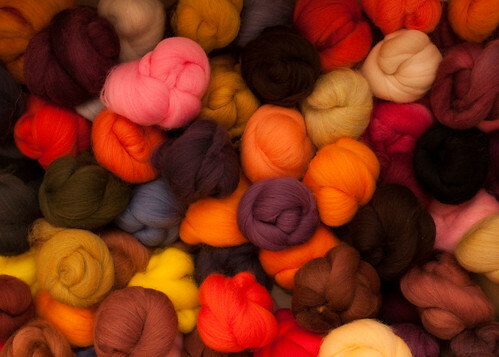 My crazy plans for this year’s Rhinebeck sweater are slowly coming together. The batts pictured were made from twelve different HY/SE/SCF colourways as well as some bits and pieces from my sample box. At this rate it may end up being my Rhinbeck 2012 sweater. You are currently browsing the Southern Cross Fibre blog archives for September, 2011.